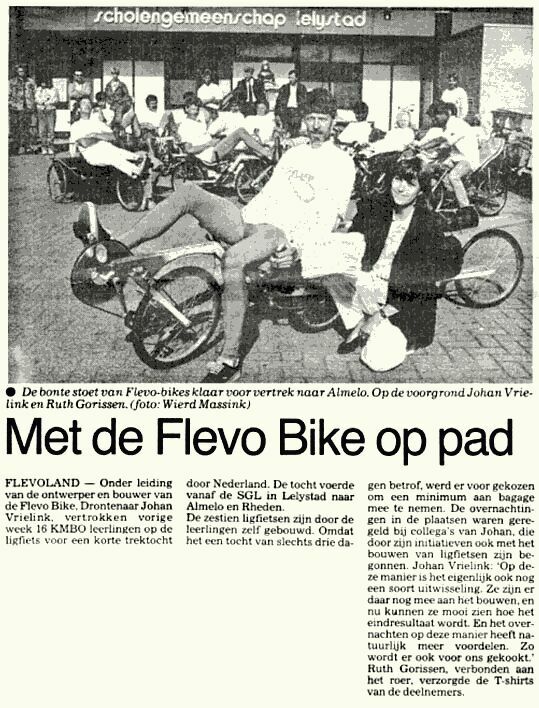 The founder of the Flevobike company was Johan Vrielink (born 7th October 1944). In the 1980's he had started a small windmill factory, but because of the decreasing oil prices at that time, it wasn't very successfull. Apart from this, he was teacher mechanical technics in a school in Lelystad. 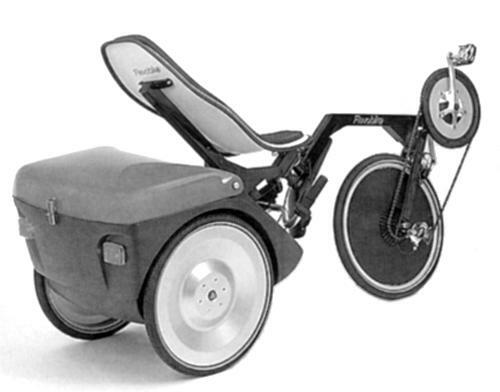 One time, one of his pupils (who was an amateur cycle-racer) showed him a picture of a Vector recumbent trike. 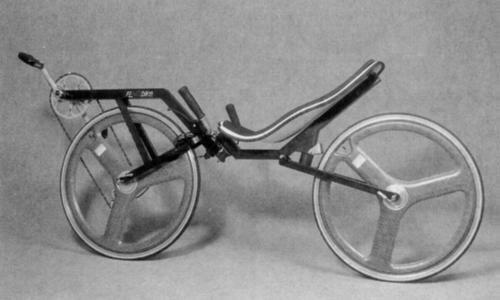 This was an inspiration for Johan to build some recumbent bikes. 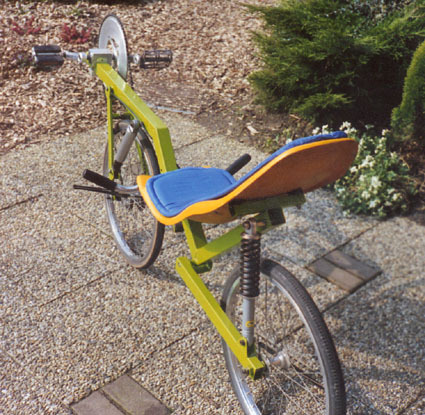 One of these was a Windcheetah copy, which he used on his commuting trips from Dronten to Lelystad. 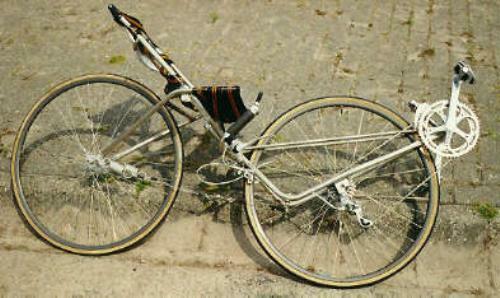 In 1984, the whole Vrielink family had such a bike. 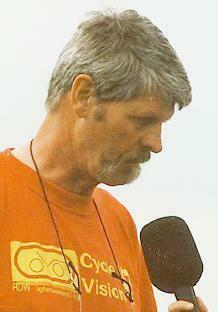 It was at that time that the Dutch HPV movement (NVHPV) was founded, and Johan joined the club. This bike was pretty remarkable, with its center steering and front wheel traction. In 1986, Johan designed his own version of this bike. He used smaller wheels in order to make suspension possible. The front frame had to be altered. The new frame went over the front wheel. He also made the bike separable. After each one had finished his own bike, they made a 5 day biking trip through the country, and they caught much publicity. Some more improvements were made (f.i. the motorbike springs were replaced by rubber blocks). In spring 1988 the serial production started, and in april 1989 the Flevobike company officially started. The demand for Flevos grew so much that soon all three sons of Johan: André, Erwin and Arjan joined the company. 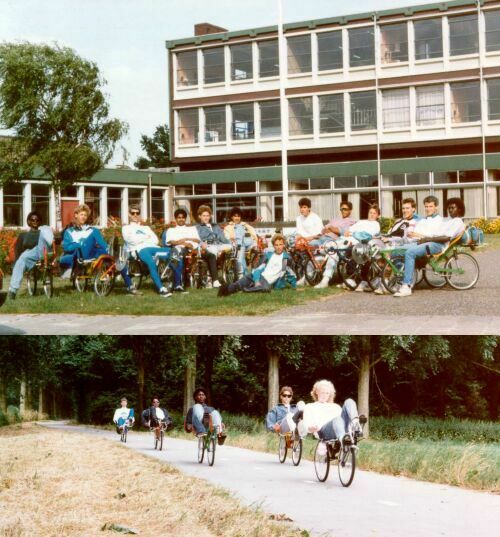 In 1992, Flevobike company had grown so much that Johan stopped his other job as a teacher. The company that had started in the cellar of the Vrielinks' home, expanded gradually. Three times, an each time bigger building was added to the Flevobike factory. In 1998, The company has grown to 13 employees. In the meantime, the bike has been improved technically in small steps. F.i. sometimes the steering axle broke. It was replaced by a somewhat thicker one. For many years, the bike could be purchased in all colors, as long as it was white or black. 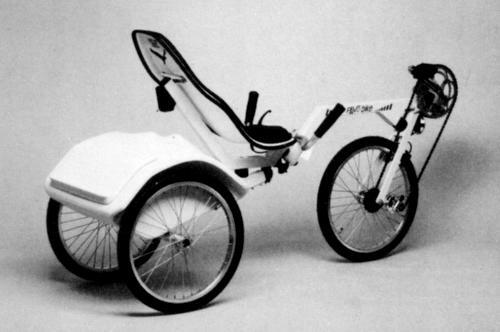 Shortly after the starting of the Flevobike company (autumn 1989), the Bike got a brother: The Trike. It had a small luggage box and a patented tilting mechanism: Duschar®. This made it possible to tilt in corners, and to keep upright on a tilted surface. The rear frame stayed the same: The box was creased over the 'T'-shaped frame parts. In 1991, the FlevoRacer followed. It had two 26" or 28" wheels, no front spring and a more recumbent seat. The racer has a somewhat smaller frontal area, and is slightly faster than the bike. 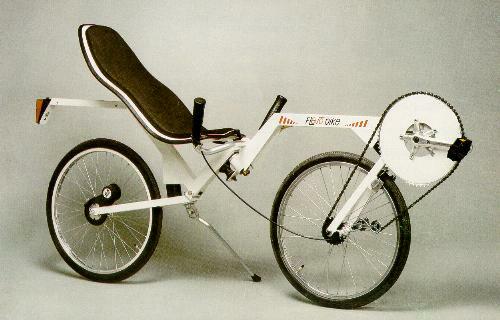 From this time, Flevobike company regarded the bike, trike and racer more or less finished. Many other HPVs were designed: Easy Rider, Forens, Amigo, Greenmachine, Rapido, Basic, Fifty-fifty, Alleweder, C-alleweder (Carbon Alleweder). But there were some improvements and variations. Most of them were made by technical students, cooperating with the Flevobike company. 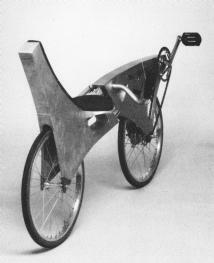 In 1990, an extremely lightweight show model was produced, and won a first prize in an aluminium construction contest. It was unsprung, and the seat was too narrow to be comfortable. But it looked amazingly beautiful! 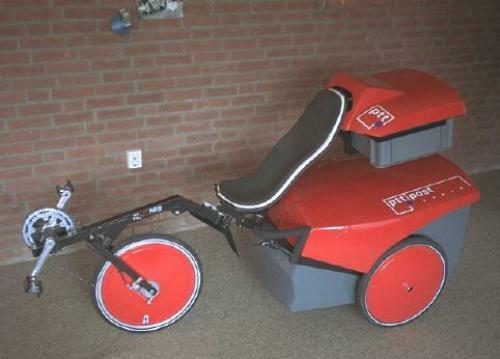 Two years later, a special postmen's version of the trike was made by a group of industrial design students. This version was never taken in production, and I can imagine some principal reasons why it was doomed to fail: A trike cannot be easy led by hand; a recumbent bike/trike has no advantage if frequent stops have to be made (to post a letter at every house): Wind resistance is of minor value at these low speeds; and it's fatiguing to lay down every time to a recumbent position. So, it was not useful for postmen, but it turned out to be quite valuable for bike couriers in cities, where motorised traffic is in disadvantage because of traffic jams. Many modificated Flevotrikes were produced for courier services in Amsterdam. Another trike version that has been designed by a student, was a trike/tent combination: The seat tube could be used as tent-pole, and the tent itself fitted in the boot. Once the tent was in position, the boot could be used as a cupboard. Of course, this project was commercially uninteresting, but it showed the many possibilities of the Flevo concept. In the year 2000, Johan Vrielink made a major decision. In his eyes, the future for his company was to velomobiles like the Alleweder and the C-alleweder (now called 'Limit'.) He wanted to aim only at that target, and he decided to transfer the licenses, production, servicing and marketing of all other HPVs to several other companies. The former Flevobike company was renamed to "Flevobike technology". The first product of Flevobike technology is the 'Versatile', a largely computer designed and produced velomobile. This way, the rights of the bike, trike and racer came to "Ligfietsshop Tempelman" (Tempelman recumbent bike shop). Harm Tempelman had since the beginning produced the seats and luggage boots of the Flevobikes, and later, he was the one to produce the C-alleweder in license for Flevobike. He and his son Gerrit had started their shop in one of the buildings of the former Flevobike. They do all service, also for the bikes that have been bought from Flevobike in the past. Moreover, they have a post order service for self-builders and people who want to replace parts of their Flevos.